After a successful pilot earlier this year, Papa John's rolls out their new Ancient Grains Gluten-Free Crust to participating locations nationwide. The crust features a blend of ancient grains that includes sorghum, teff, amaranth, and quinoa. It's made in a gluten-free environment before being shipped unfrozen to each location. While Papa John's has procedures in place to prevent contact with gluten, it's still possible for the crust to come in contact with gluten during the normal preparation process (given that it's sauced, topped, and baked in the same kitchen as their other pizzas). According to the chain, their blend of ancient grains add "a more robust texture and flavor to the crust." 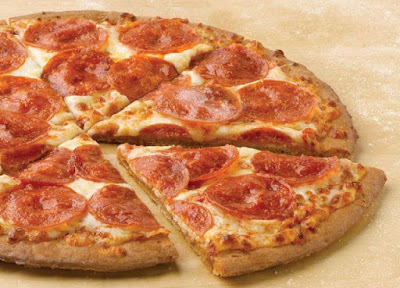 The new crust is only available as a small pizza and you can buy one with 2 toppings for $9.99.